Today, everyone’s excited about kitchen hacks such as little tidbits of advice that could help you preserve the freshness of your produce. These are ideas that we somehow never thought of on our own, but are so obvious and convenient we have no idea how we made it this far without them. But let’s be honest, from time to time these hacks we read about in blogs online are downright impractical. But other times – well, gosh darn it, they kind of work for the most part. So I asked around the office and tried to collect as many of our own unique hacks so that I could share them with you. There are some really great ones, products of the awesome diversity we boast. true creative force behind these reasonably realistic tips. I just sort of dumbed them down. Admittedly there’s nothing life-changing here, but there are a few genuinely good ideas, and a couple you genuinely need to exercise a bit of caution with. But enough of my gawking, here are seven hacks that may (but probably won’t) rock your world! 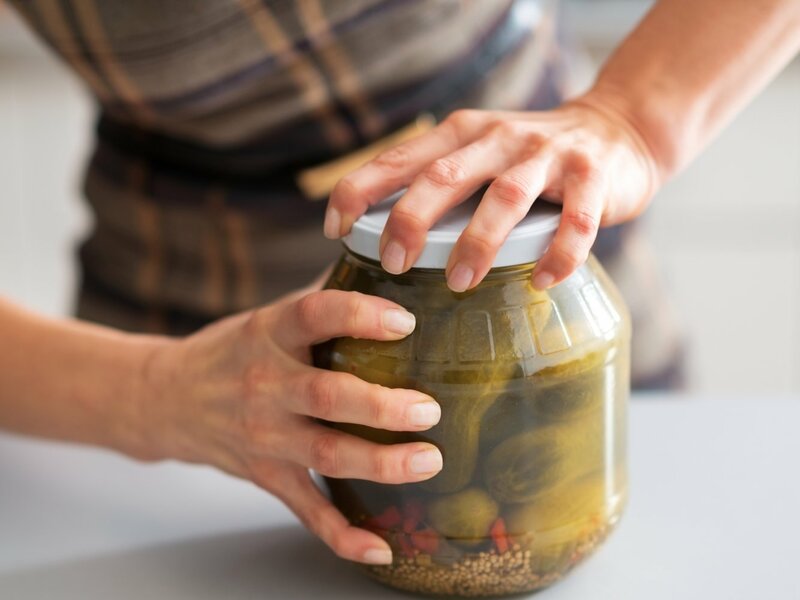 Oh, man, I hate it when I put all my strength into opening a stupid sealed jar of pickles (or something comparably difficult to budge) and all I do is successfully loosen it enough for the next person to open successfully. Yup, I’ve made a LOT of people look good. But I have since learned the secret to keeping all of that delicious glory to myself, and all it requires is a rubber band. Simply wrap it around the edge of the lid, cover it with a dish towel and the combination will provide the little extra leverage needed to make it open like the mouths in awe of my brawn (results not guaranteed). We all know how difficult it is to cut small fruit and veggies – like grapes, cherry tomatoes or olives. Never mind why we’d want to cut them; let’s just say certain recipes demand it, Truth. So, here’s how to make the necessary chore a little easier. Sandwich the like-sized ball-shaped edibles between two plastic lids. With the bottom one lying flat on the surface, press the upper lid down just firmly enough as not to squash them as you proceed to slice with the knife between the two lids. With a little carelessness, you may even add a pinkie to your fruit salad. 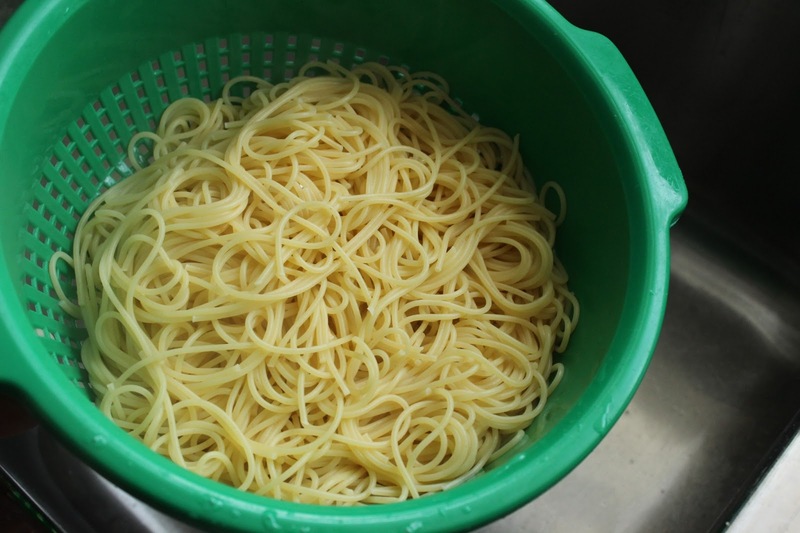 You can’t have pasta without the addition of garlic. I love the flavor when I’m eating something made with it. Preparing it, though, is another matter. I hate it because it makes my hands smell like I’m preparing for battle with Dracula. So I was excited to learn that I could rub my hand on a stainless steel surface like the one of my sink, and there’s a subsequent molecular reaction that transfers the smell away from my hands – I always blame it on the sink anyway! OR, you could simply nuke the head of the garlic in a microwave for about twenty seconds. This enables the peels to slip right off without any knife work. Continue the culinary conveniences – how would you like to slice your cooking time in half and make your mealtimes easier? Faster is better (well, in certain instances). This can apply to a wide range of dishes, from meatloaf to casserole. The secret? What else? 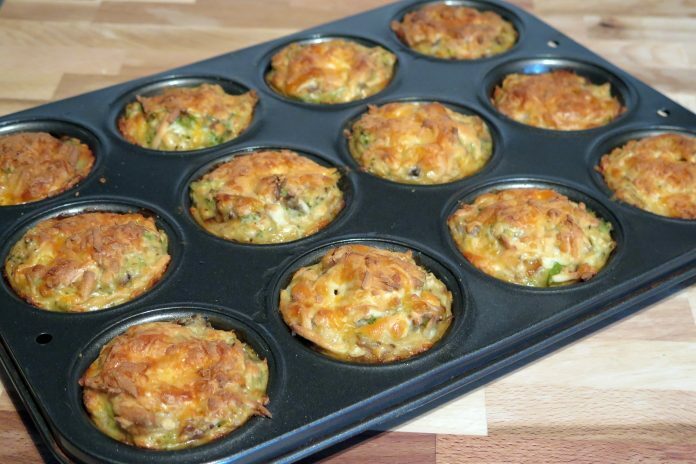 Muffin tins! First, spray the tins down with cooking spray (to prevent stickling). 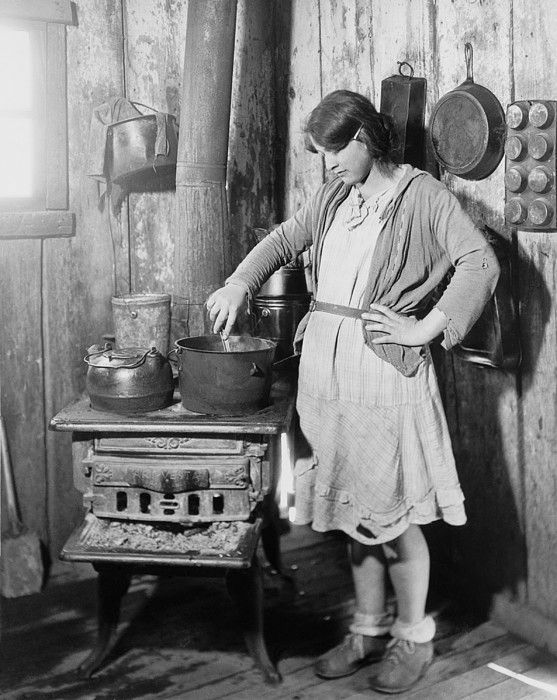 Divide your creation into the separate cups, and marvel as it cooks twice as fast in portions than it would have as one large dish. 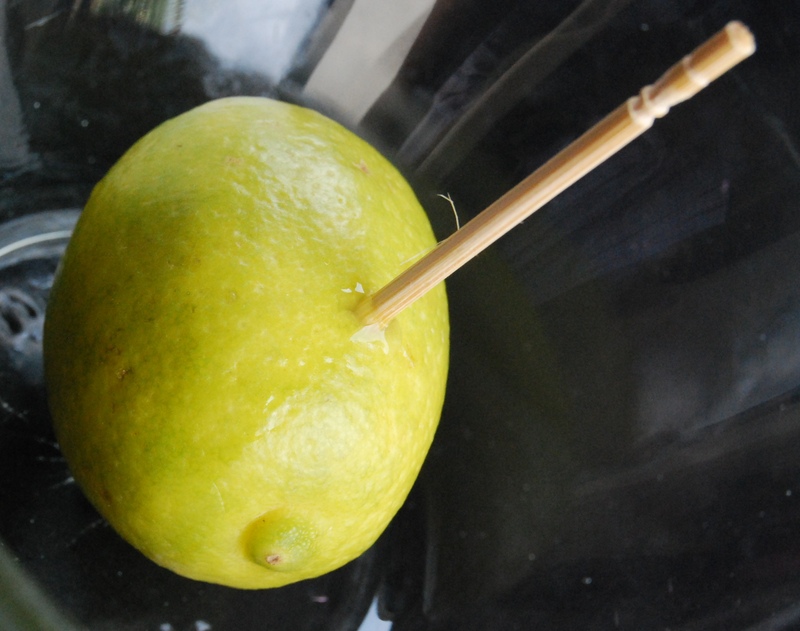 For that delicious burst of lemon or lime without wasting an entire fruit just for a taste, simply use a toothpick. Stick it into one side of the fruit (that’s what he said) and twist it around to create a hole. Remove the toothpick and squeeze the juice out into a glass. For best results do not use a refrigerated / cold lemon or lime. After you’ve had your fix, reinsert the toothpick and put the lemon in the refrigerator so it may still serve your future citrus needs. Read on for more quick and easy kitchen hacks and solutions. It’s a great article. It’s very helpful hacks. That’s impressive. I love it. Thanks for sharing. Wow. It’s amazing kitchen hacks. It’s just awesome. It’s impressed me. I love this. I’ll follow this. It will make my work easier. Thanks for sharing this.